Mixed martial arts is regulated like boxing. Here, Karl Noons loses an MMA match in Las Vegas. Mixed-martial-arts matches aren’t everyone’s cup of tea. But the fighting style, which combines various disciplines in unarmed combat, compares favorably with the safety record of mainstream boxing. The Boston City Council shouldn’t single mixed martial arts out for special regulation beyond what state rules provide. Boston City Council President Stephen Murphy wants to prevent anyone under age 18 from attending mixed-martial-arts matches. Some children’s advocates support his measure, too. A public hearing on it Tuesday was timed to coincide with the Ultimate Fighting Championship event at TD Garden this Saturday. But this battle has already been fought. 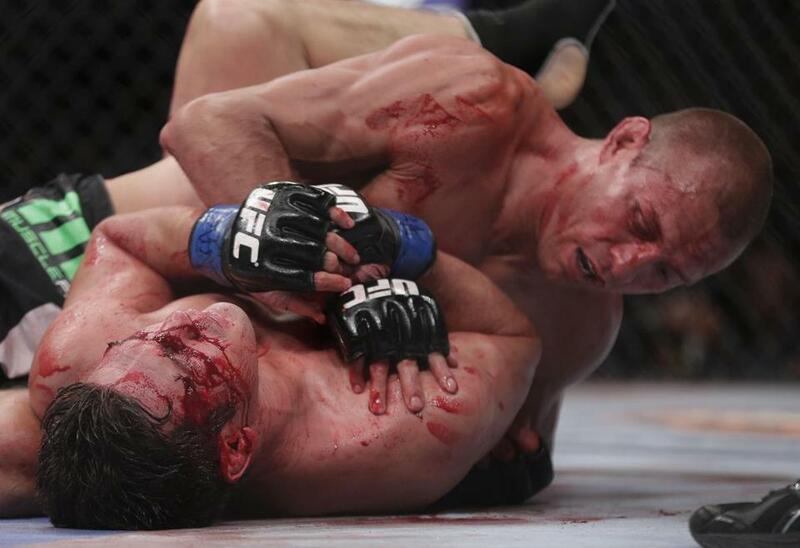 In 2010, state lawmakers and Governor Patrick authorized mixed-martial-arts matches in Massachusetts. The Massachusetts State Athletic Commission regulates the sport in the same manner as boxing. And state law already requires that no one under the age of 16 be allowed entry to any professional fight unless accompanied by an adult. That restriction offers sufficient protection for impressionable young people. Mixed-martial-arts promoters’ marketing hype can be provocative to the point of insulting people’s intelligence. But the fighters themselves are well-trained and skilled athletes. And that is what people — young and old — come to watch.